Art experts from the UK and New East will be uncovering how photography shapes our lives as part of a special event with Calvert 22 Foundation. 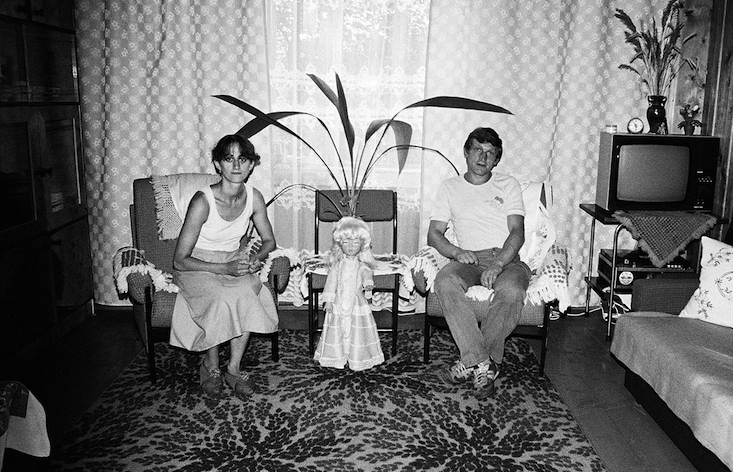 Karol Hordziej, artistic director of Krakow Photomonth Festival, and Kate Bush, curator of the foundation’s latest exhibition, Family Values: Polish Photography Now, will explore how photographers use their work to create their own unique records and mould our reality. At the heart of the talk will be Polish photographer Zofia Rydet (1911 – 1997), whose Sociological Record — a monumental 19-year mission to photograph every person in Poland — is being shown in the UK for the first time. The panel will also discuss different ways of reading other artistic records, including portraits of August Sander, the documentary programme from the Farm Security Administration, and more recent projects by the likes of Taryn Simon, Hans Eijkelboom and Anouk Kruithof. Karol and Kate will also be on hand for a Q&A with the audience, who will also get the opportunity to view the Family Values exhibition before and after the talk. The event is open on a -pay-what-you-like basis, but visitors are encouraged to book their place before hand to avoid disappointment. For more information, or to reserve tickets, visit the event website here.